Have you ever had sore feet? As we age, changes in the shape of our feet, the support of our ligaments in the feet, and previous injuries, can cause strain and pain. This is where our physical therapists at FYZICAL Therapy & Balance Centers can help. Why are feet and ankle problems so common? Our dedicated team of physical therapists are trained to evaluate what you will need to work on, based on existing medical information. We’ll also evaluate your walk and your ability to move your feet and ankles in various positions. 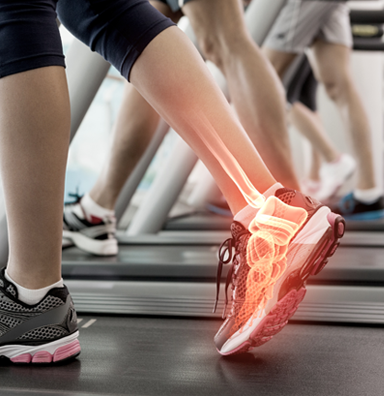 Our team at FYZICAL Therapy & Balance Centers will also teach you how to improve your posture when walking and running, if gait issues are resulting from — or even causing — your foot and ankle pain. Are you ready to take the “first steps” toward making the rest of those steps pain-free? Yes, I would like to receive newsletters from FYZICAL Redding.